Coinage helps you learn from your financial past, so you can better look to the future. Coinage puts you in the financial driver’s seat. Don’t be forced into a mold! Keep records of your history and adjust for your future. 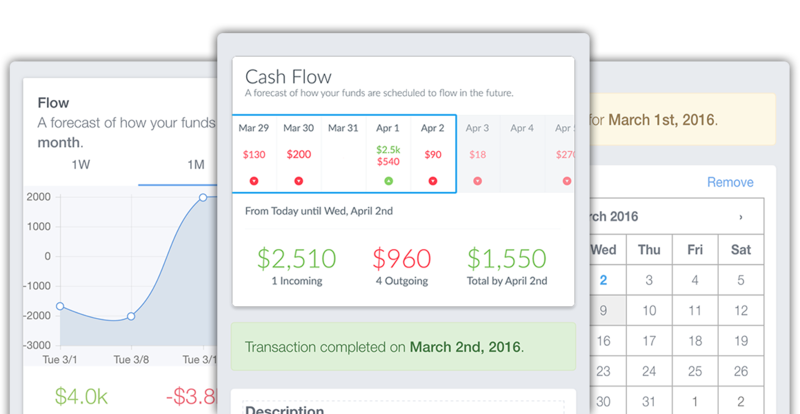 Notifications and powerful overviews keep your finger on the pulse of your finances. Gain insights into your habits and spending to better understand your finances. Coinage offers a modern approach to traditional money management methods. 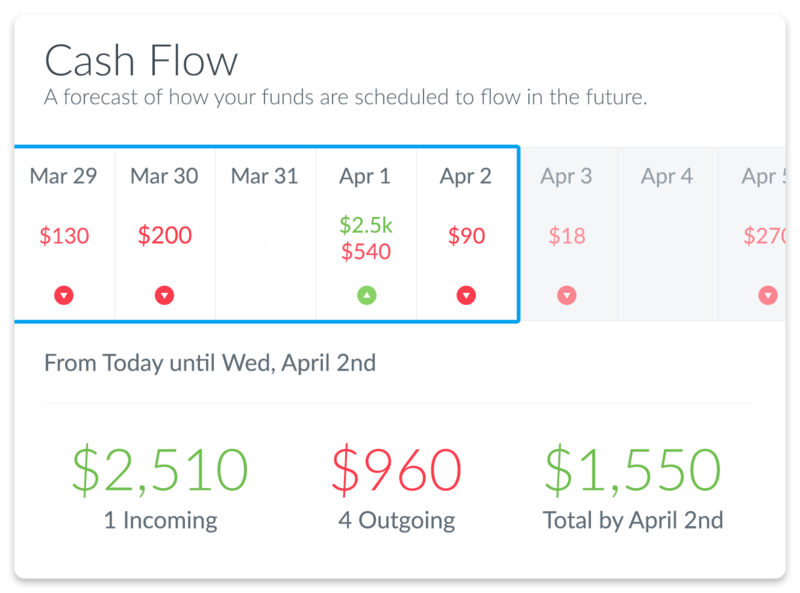 It helps you understand your finances from every direction by putting you in control to track incomes and expenses, bank accounts, credit cards, budgets and your schedule. Using powerful forecasting, Coinage helps you look into your financial future so you can see how your money flows, and be better prepared. Many personal finance products do everything for you which is undeniably easy, but too often it causes us to take our eye off the ball. Coinage puts emphasis on you being aware of what is going on with your money. Along with using industry-standard security techniques, Coinage keeps you secure by not storing any sensitive data. No account numbers, no credit card numbers, no bank login information, no social security numbers. Set up your schedule in any frequency. Don’t get put in a box. 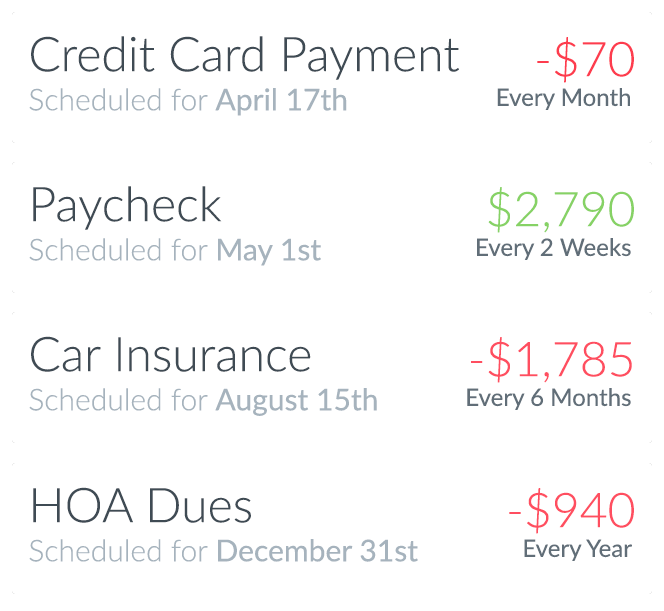 With Coinage, you can use weeks, months or years for scheduled transactions and let Coinage do the math. Packing up and moving your finances can be a big move but with Coinage you can access your data anywhere. Coinage runs on all major platforms and all major devices, including Windows, OS X, Android Devices, iOS Devices, and more. If you ever need direct access to your data, send us a request via email, and we will send you a copy, hassle-free. Sign up for your free trial and start taking control of your finances.